This is the boat that I have conducted first batch of One Day Sailing Course in 2011. My first batch of students could remember that this boat was the classic design keel boat. She was transfered from Germany to here in Malaysia in 2010. Let me give you some details below. This boat is the serial production of beautiful classic design called IF Boats, started from 1930's. They successfully produced substantial amount of wooden boats and in the year 1970's they started to produce fiberglass version of the design. After 1970's, they produced around of 4000 boats total and this boat has serial number of 940 and built in 1972. 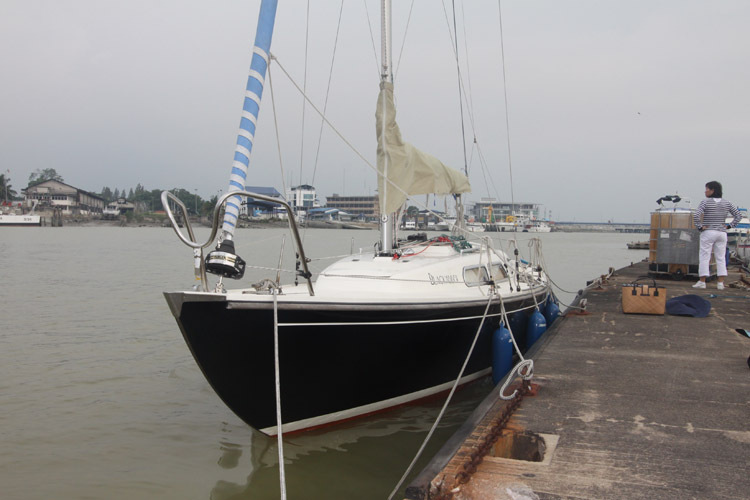 She has totally overhauled in the year 2005 both deck and hull with the RM 45 K receipt. She is in perfect condition and lots of extra equipment which could cost a lot for the buyer if they want to add in the future. Please find specification of the boat below. Lenght: 26 ft. Easy to handle with two person. Specification and Class: IF Classic Design Keel Boat. Boat Safety: Balast ratio of the boat is 51 % of displacement. Cabin: Cabin with 4 berths, one double in the bow and two single in the mid section of the boat. Engine: Outboard engine 5 hp., 2 stroke, long shaft, 2005 model, with two petrol tanks. Sun protection canopy, brand new. Sails: Mainsails 2 sets with reefing lines. Spinnaker: 1 old, 1 new spinnaker (2011) by Quantum Sail with sun protection and sail cover. Furlex: Furlex 100 foresail system with Jib and Genua usage. Halyards / Sheets: all routed to cockpit. Mooring lines: 5 sets of mooring line and 6 fenders. Anchor: 1 Danforth 8 kg. and 1 Fortress 3.2 kg. which is considered the best in the world. Anchor rope: 40m. with lead-inlay. Table for saloon and cockpit. Cabin lights red and white. Sprayhood 2x3 spinlock mini brandnew. Tri-color navigation with c/w windex. 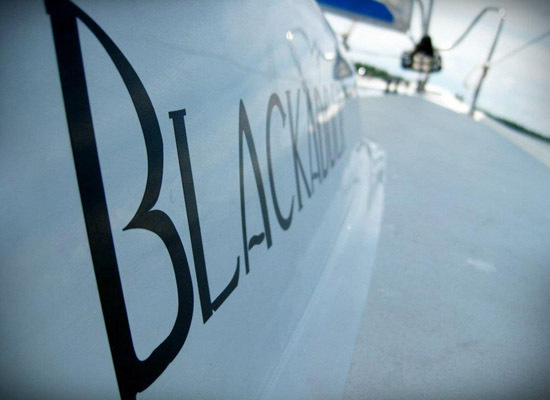 This is the boat you will fall in love with. With good wind of 10 kts and above you could easily make 7.5 to 8 knots of speed. Ideal for beginners. This signature design is way way less than RM 90 K. with lots stocks and barrel. Please contact with us.